The softer side of empire: Reginald Heber, Lord Bishop of Calcutta. He lasted in India all of three years before succumbing in 1826 while on a tour in the south. 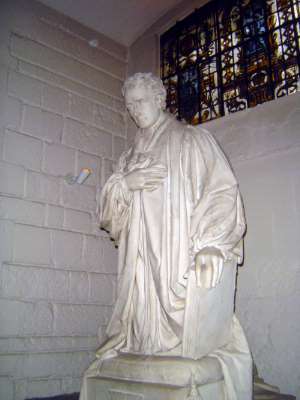 This statue is in the crypt of St. Paul's, but a twin stands in the nave of St. Paul's, Calcutta.